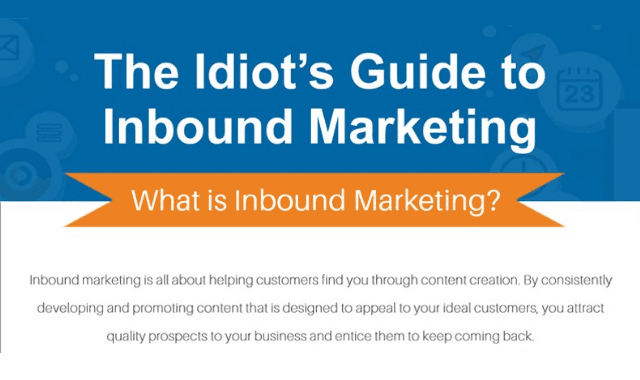 The Idiot’s Guide To Inbound Marketing #Infographic ~ Visualistan '+g+"
Inbound marketing is all about helping customers find you through content creation. By consistently developing and promoting content that is designed to appeal to your ideal customers, you attract quality prospects to your business and entice them to keep coming back. Inbound marketing generates 54% more leads than paid marketing.